A Taste of Mount Pleasant: The Dreamer Coffee Shop | Grand Central Magazine | Your Campus. Your Story. From the outside, The Dreamer is a homey, burnt orange building that can be spotted from a few blocks away. On the inside, the coffee shop is far from ordinary. The ambiance is refreshing and casts a calming spell over every customer who walks in. There are multiple nooks and crannies to spend time alone in, but also big open spaces and tables that can seat many if a gathering is your reason for visiting. The unique atmosphere keeping coffee-goers coming and brings a variety of people together in one safe space. The Dreamer’s menu is unlike anything Mount Pleasant has ever seen. 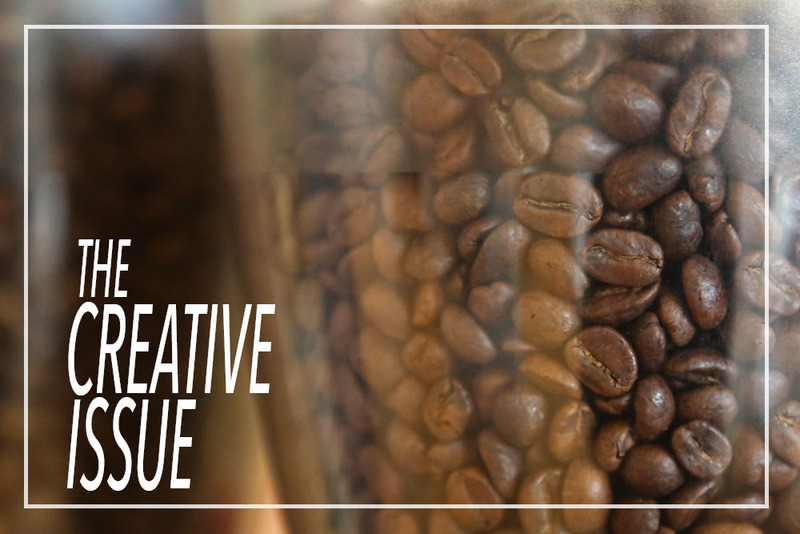 Offering roasts straight from Madcap Coffee in Grand Rapids, their offer pour over coffee, serving the freshest cup possible and made especially for you. Expect to have feelings of indulgence – we recommend you just let yourself go. Their cyclical seasonal menus will give you a reason to want their beverages all year round. The Flavors of Fall menu is currently spot-lighting Apple Chaider, which is steamed apple cider and chai tea, topped with cinnamon. If funky warm drinks just aren’t your thing, try the simple, but undeniably delicious Pumpkin Spiced Latte or the Traverse City Hot Chocolate. Have you ever heard of bubble tea? This tea is a menu item that undoubtedly diversifies The Dreamer from any other coffee shop in Mount Pleasant. To create this drink, start by choosing a flavor of tea, then choosing between flavored “bubbles” that splash in your mouth when you pop them or ones that are chewy. The tea is perfected with a milk base of your preference. Trust us – bubble tea is a mood shifter. What can be more fun to drink than bubbles? It’s like a childhood dream come true. The newest additions to their snazzy menu are cocktail inspired (without the spirits). Picture Moscow Mule gone caffeinated: espresso, ginger and lime juice, topped with sparkling water. The “cocktail” section of their menu also features beverages such as Aloe Julep, Midori and Espresso Tonic. Aside from their innovative menu, the Dreamer is also known for creating a sense of community. “The dreamer has this airy comfort to it that makes me feel welcome. I feel like it allows me to think straight – although, that might just be the caffeine speaking,” graduate student Whitley North said. It is a safe space to members of the LGBTQ community, a welcoming environment for all races and ethnicities, a creative platform and showcase for local artists, a memorial for a student who is gone, but not forgotten (check out the history behind the Cup of Josie) and a weekly meeting place for many RSO’s on campus, among many other reasons people love to gather here. Linsday Ball, a senior studying Community Health, is a member of the original barista staff. We asked her why she thinks The Dreamer may feel inclusive and safe to many. “It starts with our staff, I think. We have such a diverse staff, we are all friendly and accepting, not only with each other, but with everyone around us. We all come from different backgrounds that are a part of different communities, so I think that draws people in and makes people feel comfortable when they are here because they can connect with us. I believe that’s a big part of it,” Ball said. The Dreamer is a space that is sacred to many. It provides comfort and acceptance, love and support. The Dreamer allows you to just “be”. Separator image Posted in Drinks, Drinks, Food, Food & Beverage, Recipes, Restaurants and tagged with coffee, Food and Beverage, The Dreamer.